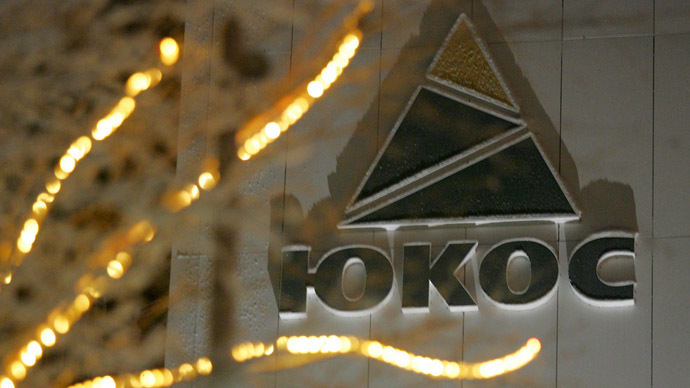 Russia has agreed to pay €1.86 billion in compensation to former Yukos shareholders after the European Court of Human Rights (ECHR) refused its appeal, said Russian Justice Minister Aleksandr Konovalov. "The judges have made the decision. We are forced to accept it. We believe it is unreasonable, but there’s nothing we can do," said Konovalov as quoted by RIA. At the same time he said Russia is not obliged to abide by the decisions of the ECHR, adding that the enforcement of decisions is ‘goodwill’ on the part of a member country of the Council of Europe. "Life will show to what extent this decision will be enforced in Russia," he said. On Tuesday the ECHR ruled against the Ministry of Justice appeal to overturn the July 2014 decision. The court then ordered Russia to pay the compensation. Russia must now pay €1.86 billion (US$2.51 billion) to the former shareholders of Russia's once largest private oil company for unfair tax proceedings, which allegedly led to the liquidation of Yukos in 2007. The compensation sum was calculated on the basis of fines imposed on Yukos by the Ministry of Taxes and Assessments in 2000 and 2001 following a tax audit. A part of the seven percent execution fee levied against the company was included as well. Another ruling by the International Arbitration Court in the Netherlands has ended a decade long case brought by former Yukos shareholders which ordered Russia to pay about $50 billion in damages. The Yukos oil company existed from 1993 to 2007. In August 2006 it was declared bankrupt at the request of a syndicate of foreign banks to which Yukos owed about $500 million. Later this debt was purchased by Rosneft. In 2007 the company's property was sold at auction to cover its debts. Yukos was dissolved on November 21, 2007.